1) Use at two of these colors – blue, yellow, gray and white. Prints and solids are welcome. 2) Blocks should be 12.5 tall – width can be any size. 3) Blocks should be machine piece only. 5) Blocks should use light gray thread. 6) Blocks will be due at the next guild meeting on May 16th and turned into Amiee Anderson. Please contact me if you have any questions! We hope everyone will be able to participate in this great effort through our sister guild. 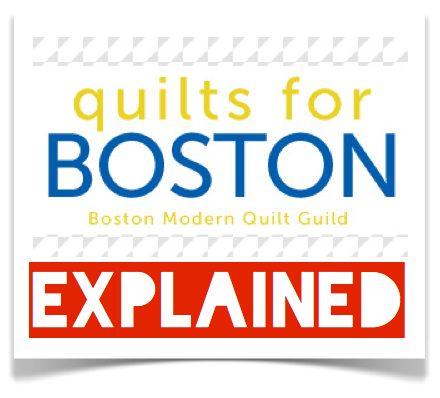 the Boston Modern Quilt Guild. This entry was posted in Guild Announcements and tagged May Meeting, Quilts for Boston by West Atlanta Modern Quilt Guild. Bookmark the permalink.